In the competitive sphere of retail business, you have to stand out to stay ahead. 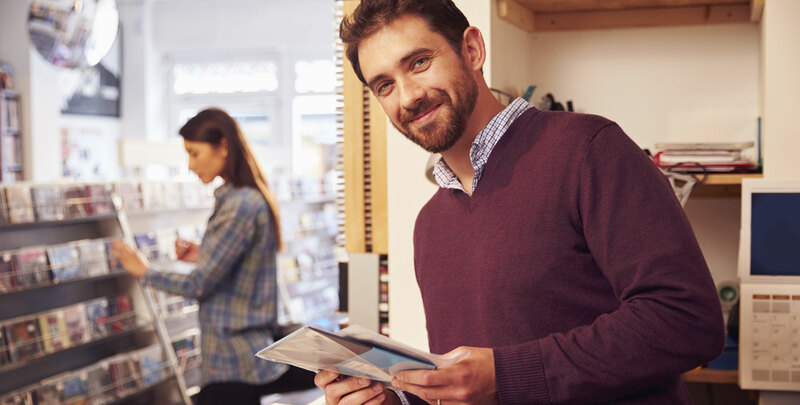 Within a constantly evolving marketplace saturated in clothing stores, convenience stores, florists and the like, there will always be another business out there similar to yours. So how do you stay on top of the trends, stay true to your core business vision so your bottom line can flourish? Many retail small business owners make it their priority to always be ahead of the crowd, turning to the latest social media and advertising trends to continuously stay top of mind for current and potential customers. Others turn to renovation and expansion, while still other retailers depend on current technology such as point of sale software and modern, mobile-friendly website design to stay relevant in the marketplace. However contemporary facelifts and modern technology aren’t retailers’ only concerns. Unforeseen emergency expenses have the potential power to derail the daily flow of business, affecting customers’ impressions of your store. In the age of social media, coupled with rampant competition, even one day of being out of order can negatively affect their overall image. Emergencies need to be addressed fast – time is of the essence in the retail world. Beyond a business’s physical needs, seasonal spikes in revenue also serve as a potential for financial disaster. Most retailers can attest to particular times of the year when their revenue flow is higher and others when revenue falls off. In order to stock up for those higher times, and stay afloat during those slower times, retailers have to have proper working capital stay on target. It’s no surprise that most retail businesses lean toward alternative small business loans to secure capital. Whereas traditional loans are notoriously difficult to obtain, with a drawn-out approval process that makes you jump through hoops, alternative lenders are more flexible, with the capability to take on businesses that banks may not approve, and can get you the money quickly and with terms that make sense. Via alternative lending, you will have options to get your funds through a small business loan, merchant cash advance or you can opt to combine any outstanding debt that you have in to the convenience of business loan consolidation, allowing you to bring down your interest rate and take control of your finances. At Mayava Capital Funding, we connect you with our preferred and trusted alternative lenders and merchant cash advance specialists to help you take your companies to the next level. Through a quick and pain-free application process, straight-forward terms and flexible financing options, Mayava Capital takes the headache out of blindly comparing multiple lending companies and leaves you with the time you need to do what you do best: provide your customers with the best possible shopping and customer experience. Don’t let a lack of cash deter you from taking your retail business to the next level or solving unforeseen emergencies. Discover alternative resources through alternative lending.